So last weekend was Todd In The Hole, and what a great weekend that was! For a new festival, it had everything – music (Abba Lush, Counterfeit Stone, SJ & The Flying Pigs), food, entertainment (Camel Racing and Classic Cars!) and of course Rock Pop Candy! The ‘Elvis Off’ was great fun, and well done to the winner who won tickets to Las Vegas! So where to next? This weekend – well we’re off to Atomic! THE AWESOME THRILL-A-MINUTE 1950s WEEKEND. You really don’t want to miss this so what are you waiting for! Details about tickets can be found here. https://i2.wp.com/www.rockpopcandy.co.uk/wp-content/uploads/2018/07/atomic-logo.png?fit=792%2C283&ssl=1 283 792 Ian Daniells http://www.rockpopcandy.co.uk/wp-content/uploads/2017/12/candy-logo-2.png Ian Daniells2018-07-25 11:18:442018-07-25 11:18:44So where to next? Upcoming events for Rock Pop Candy. So what are the Upcoming events for Rock Pop Candy? Well, what a weekend we’ve just had at Camper Jam 2018! – super hot, busy, and then there’s the footy result! Well done Mr Southgate et al! This weekend we are off to RAF Fairford for RIAT 2018, 3 full days of Planes, Air displays, entertainment, shopping and so much more! Take a look at their website here for more information. The Air Tattoo returns this summer from 13-15 July 2018 at RAF Fairford in Gloucestershire to commemorate, celebrate and inspire with RAF100, the international Centenary celebrations of the Royal Air Force! This weekend for Rock Pop Candy. So what’s happening this weekend for Rock Pop Candy? Well, Ana – and her sister who surprised her for her birthday by flying half-way around the world to be with her – will be trading at Retro Festival in Newark – take a look here. A weekend packed with live music, airshows, shopping, food, and of course RockPopCandy! See some of the fabulous traders including the lovely ladies from Guns ‘n’ Posies, and the fabulous Hot Rockin! As you may, or may not, know, we have now closed our High Street shop in St Albans. It wasn’t a quick and easy decision, but we felt the time was right. But don’t worry – we are still trading – online, and at events around the country – and we will try and give you regular updates as to when and where we will be. Take a look here to see the list for 2018 so far. What’s your favourite – White, Milk, Dark or PINK? We’re Talking Chocolate! So ….. If I asked you what your favourite type of chocolate was what would you say? Dark, rich and possibly bitter? Perhaps milk chocolate, after all, John Cadbury made sure that most of us grew up with a full “glass and a half” in each creamy milk slab. Or there’s white ( the Belgians would argue it’s not really chocolate ) a sweet blend of cocoa butter and milk fat rather than cocoa solids but still the staple diet of the milky bar kid back in the 60’s and 70’s. 11% of you would answer ANY of the above but generally its a 30%,50%,20% split going on recent consumption trends so where will a fourth chocolate fit into the equation? Have you heard of Pink Chocolate? I’m not talking about white coloured chocolate, but an actual chocolate bean currently called RUBY and is said to be all natural, with no added colours or flavours, just a berry-like taste to it. Its early days for us here in the UK but it has been used in Japanese pink Kit Kats already. So I ask you again – what is your favourite chocolate? Would your answer still be the same? https://i2.wp.com/www.rockpopcandy.co.uk/wp-content/uploads/2018/03/pink-choc.jpg?fit=750%2C422&ssl=1 422 750 Ian Daniells http://www.rockpopcandy.co.uk/wp-content/uploads/2017/12/candy-logo-2.png Ian Daniells2018-03-20 22:16:432018-11-02 18:02:44What's your favourite - White, Milk, Dark or PINK? We're Talking Chocolate! Time For Tea? 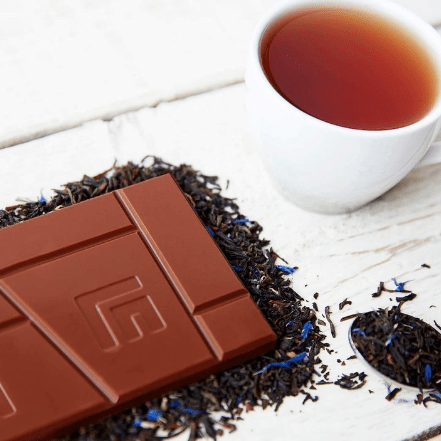 – I love a cuppa, and I love good chocolate so what better pairing than Love Cocoa’s Earl Grey organic milk chocolate. There are so many gimmicky flavours out there but sadly they are often no more than a funky wrapper. But this is different. This smooth bar has been 193 years in the making! no, I’m not kidding. I’m sure you remember the great British staple ” Cadbury’s” chocolate, and as we all know this philanthropic institution was sold off a few years back. No matter what anyone says, in my opinion, it’s not the same at all. Roll forward to 2016 and John Cadbury’s great great great grandson James Cadbury launched ‘LOVE COCOA’. He does exactly what he says on his bars. He loves chocolate. And he has reinvented it, the way it should be with contemporary flavours. But keeping the mix free from gluten, palm oil and other nasties. As well as the loving touch in its making, he gives 10% of all profits to charity! Still a Philanthropist just like his John Cadbury. So if you yearn to try smooth, natural chocolate with that loving addition of earl grey tea, coffee, avocado or even gin & tonic look no further. You won’t be disappointed. I certainly wasn’t! https://i0.wp.com/www.rockpopcandy.co.uk/wp-content/uploads/2018/02/love-cocoa-earl-grey-tea-chocolate-best_03940b7e-a9c9-4316-8a2c-5b86ecc618b3_1024x1024.png?fit=441%2C441&ssl=1 441 441 Anastasia Daniells http://www.rockpopcandy.co.uk/wp-content/uploads/2017/12/candy-logo-2.png Anastasia Daniells2018-03-09 11:49:192018-11-02 18:06:44Time For Tea? Hello World! and Welcome to the Rock Pop Candy Blog spot. This is a first for me so I hope to make it a fun and interesting place to visit. First things first ….you like chocolate right? Well, I’m a huge fan. I grew up in a house surrounded by it but never had the passion to make with it myself. Instead, my travels to source original traditional candy, have led me to many creative chocolatiers and as we open this new website I look around at over 30 types from all over the world. Some of my favourites include custard cream, lavender, maple bacon pancake and avocado. There’s a certain comfort to be taken from letting the flavours from a well-made bar melt on your tongue. 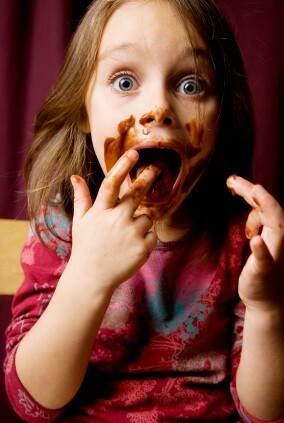 I could give up most things but never chocolate! Hershey’s recently went the extra mile and created a peanut and pretzel creation – not bad at all. Anyway, I’ll be updating weekly with new input about how I like to tease my tastebuds and the wonderful flavours I’ve found. Remember our taste buds only live for 10 days so treat them to something wonderful every week! https://i2.wp.com/www.rockpopcandy.co.uk/wp-content/uploads/2017/12/choc.jpg?fit=284%2C423&ssl=1 423 284 Anastasia Daniells http://www.rockpopcandy.co.uk/wp-content/uploads/2017/12/candy-logo-2.png Anastasia Daniells2018-03-02 16:57:522018-11-02 18:10:53Hello World! and Welcome.